This article is about the capital of Algeria. For other uses, see Algiers (disambiguation). "Algerine" redirects here. For other uses, see Algerine (disambiguation). 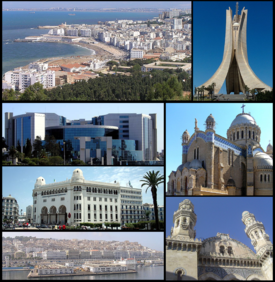 Algiers (Arabic: الجزائر‎, Al-Jazāʾir; French: Alger) is the capital and largest city of Algeria. In 2011, the city's population was estimated to be around 3,500,000. An estimate puts the population of the larger metropolitan city to be around 5,000,000. Algiers is located on the Mediterranean Sea and in the north-central portion of Algeria. Algiers is situated on the west side of a bay of the Mediterranean Sea. The modern part of the city is built on the level ground by the seashore; the old part, the ancient city of the deys, climbs the steep hill behind the modern town and is crowned by the casbah or citadel, 122 metres (400 ft) above the sea. The casbah and the two quays form a triangle. The city's name is derived via French and Catalan Alger from the Arabic name Al-Jazā’ir (الجزائر), "The Islands". This name refers to the four former islands which lay off the city's coast before becoming part of the mainland in 1525. Al-Jazā’ir is itself a truncated form of the city's older name Jaza'ir Bani Mazghana (جزائر بني مزغانة), "The Islands of the Sons of Mazghana", used by early medieval geographers such as al-Idrisi and Yaqut al-Hamawi. In antiquity, the Greeks knew the town as Ikosion (Greek: Ικοσιον), which was Latinized as Icosium under Roman rule. The Greeks explained the name as coming from their word for "twenty" (εικοσι, eikosi), supposedly because it had been founded by 20 companions of Hercules when he visited the Atlas Mountains during his labors. In fact, the name transcribed the Punic name ʿWYKSM, "Seagull Island", again named after the site's former islands. Algiers is also known as El-Behdja (Arabic: البهجة‎, "The White") or "Algiers the White" (French: Alger la Blanche) for its whitewashed buildings, seen rising from the sea. A small Phoenician colony on Algiers's former islands was established and taken over by the Carthaginians sometime before the 3rd century BC. After the Punic Wars, the Romans eventually took over administration of the town, which they called Icosium. Its ruins now form part of the modern city's marine quarter, with the Rue de la Marine following a former Roman road. Roman cemeteries existed near Bab-el-Oued and Bab Azoun. The city was given Latin rights by the emperor Vespasian. The bishops of Icosium are mentioned as late as the 5th century, but the ancient town fell into obscurity during the Muslim conquest of North Africa. The present city was founded in 944 by Bologhine ibn Ziri, the founder of the Berber Zirid–Sanhaja dynasty. He had earlier (935) built his own house and a Sanhaja center at Ashir, just south of Algiers. Although his Zirid dynasty was overthrown by Roger II of Sicily in 1148, the Zirids had already lost control of Algiers to their cousins the Hammadids in 1014. 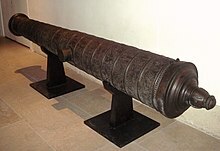 The city was wrested from the Hammadids by the Almohads in 1159, and in the 13th century came under the dominion of the Ziyanid sultans of Tlemcen. Nominally part of the sultanate of Tlemcen, Algiers had a large measure of independence under amirs of its own due to Oran being the chief seaport of the Ziyanids. The Peñón of Algiers, an islet in front of Algiers harbour had been occupied by the Spaniards as early as 1302. Thereafter, a considerable amount of trade began to flow between Algiers and Spain. However, Algiers continued to be of comparatively little importance until after the expulsion of the Moors from Spain, many of whom sought asylum in the city. In 1510, following their occupation of Oran and other towns on the coast of Africa, the Spaniards fortified the islet of Peñon and imposed a levy intended to suppress corsair activity. Formally part of the Ottoman Empire but essentially free from Ottoman control, starting in the 16th century Algiers turned to piracy and ransoming. Due to its location on the periphery of both the Ottoman and European economic spheres, and depending for its existence on a Mediterranean that was increasingly controlled by European shipping, backed by European navies, piracy became the primary economic activity. Repeated attempts were made by various nations to subdue the pirates that disturbed shipping in the western Mediterranean and engaged in slave raids as far north as Iceland. The United States fought two wars (the First and Second Barbary Wars) over Algiers' attacks on shipping. Among the notable people held for ransom was the future Spanish novelist Miguel de Cervantes, who was captive in Algiers almost five years, and who wrote two plays set in Algiers of the period. The primary source for knowledge of Algiers of this period, since there are no contemporary local sources, is the Topografía e historia general de Argel (1612, but written earlier), published by Diego de Haedo, but whose authorship is disputed. This work describes in detail the city, the behavior of its inhabitants, and its military defenses, with the unsuccessful hope of facilitating an attack by Spain so as to end the piracy. A significant number of renegades lived in Algiers at the time, Christians converted voluntarily to Islam, many fleeing the law or other problems at home. Once converted to Islam, they were safe in Algiers. Many occupied positions of authority, such as Samson Rowlie, an Englishman who became Treasurer of Algiers. The city under Ottoman control was enclosed by a wall on all sides, including along the seafront. In this wall, five gates allowed access to the city, with five roads from each gate dividing the city and meeting in front of the Ketchaoua Mosque. In 1556, a citadel was constructed at the highest point in the wall. A major road running north to south divided the city in two: The upper city (al-Gabal, or 'the mountain') which consisted of about fifty small quarters of Andalusian, Jewish, Moorish and Kabyle communities, and the lower city (al-Wata, or 'the plains') which was the administrative, military and commercial centre of the city, mostly inhabited by Turkish dignitaries and other upper-class families. In August 1816, the city was bombarded by a British squadron under Lord Exmouth (a descendant of Thomas Pellew, taken in an Algerian slave raid in 1715), assisted by Dutch men-of-war, destroying the corsair fleet harboured in Algiers. The history of Algiers from 1830 to 1962 is bound to the larger history of Algeria and its relationship to France. On July 4, 1830, under the pretext of an affront to the French consul—whom the dey had hit with a fly-whisk when the consul said the French government was not prepared to pay its large outstanding debts to two Algerian merchants—a French army under General de Bourmont attacked the city in the 1830 invasion of Algiers. The city capitulated the following day. Algiers became the capital of French Algeria. Many Europeans settled in Algiers, and by the early 20th century they formed a majority of the city's population. During the 1930s, the architect Le Corbusier drew up plans for a complete redesign of the colonial city. Le Corbusier was highly critical of the urban style of Algiers, describing the European district as "nothing but crumbling walls and devastated nature, the whole a sullied blot". He also criticised the difference in living standards he perceived between the European and African residents of the city, describing a situation in which "the 'civilised' live like rats in holes" whereas "the 'barbarians' live in solitude, in well-being". However, these plans were ultimately ignored by the French administration. During World War II, Algiers was the first city to be seized from the Germans by the Allies during Operation Torch. In 1962, after a bloody independence struggle in which hundreds of thousands (estimates range between 350,000 and 1,500,000) died (mostly Algerians but also French and Pieds-Noirs) during fighting between the French Army and the Algerian Front de Libération Nationale, Algeria gained its independence, with Algiers as its capital. Since then, despite losing its entire pied-noir population, the city has expanded massively. It now has about five million inhabitants, or 10 percent of Algeria's population—and its suburbs now cover most of the surrounding Mitidja plain. 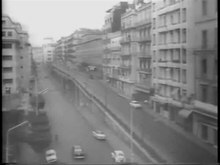 Algiers also played a pivotal role in the Algerian War (1954–1962), particularly during the Battle of Algiers when the 10th Parachute Division of the French Army, starting on January 7, 1957, and on the orders of the French Minister of Justice François Mitterrand (who authorized any means "to eliminate the insurrectionists"), led attacks against the Algerian fighters for independence. Algiers remains marked by this battle, which was characterized by merciless fighting between FLN forces which carried out a guerrilla campaign against the French military and police and pro-French Algerian soldiers, and the French Army which responded with a bloody repression, torture and blanket terrorism against the native population. The demonstrations of May 13 during the crisis of 1958 provoked the fall of the Fourth Republic in France, as well as the return of General de Gaulle to power. Algeria achieved independence on July 5, 1962. Run by the FLN that had secured independence, Algiers became a member of Non-Aligned Movement during the Cold War. In October 1988, one year before the fall of the Berlin Wall, Algiers was the site of demonstrations demanding the end of the single-party system and the creation of a real democracy baptized the "Spring of Algier". The demonstrators were repressed by the authorities (more than 300 dead), but the movement constituted a turning point in the political history of modern Algeria. In 1989, a new constitution was adopted that put an end to the one-party rule and saw the creation of more than fifty political parties, as well as official freedom of the press. The city became the theatre of many political demonstrations of all descriptions until 1993. In 1991, a political entity dominated by religious conservatives called the Islamic Salvation Front engaged in a political test of wills with the authorities. In the 1992 elections for the Algerian National Assembly, the Islamists garnered a large amount of support in the first round, helped by a massive abstention from disillusioned Algerian voters by the turn of events. Fearing an eventual win by the Islamists, the army canceled the election process, setting off a civil war between the State and armed religious conservatives which would last for a decade. On December 11, 2007, two car bombs exploded in Algiers. One bomb targeted two United Nations buildings and the other targeted a government building housing the Supreme Court. The death toll was at least 62, with over two hundred injured in the attacks. However, only 26 remained hospitalized the following day. As of 2008[update], it is speculated that the attack was carried out by the Al Qaida cell within the city. Indigenous terrorist groups have been actively operating in Algeria since around 2002. The Casbah (of Al Qasbah, “the Citadel”), Ier District of Algiers: called Al-Djazaïr Al Mahroussa (“Well Kept Algiers”), it is founded on the ruins of old Icosium. It is a small city which, built on a hill, goes down towards the sea, divided in two: the High city and the Low city. One finds there masonries and mosques of the 17th century; Ketchaoua mosque (built in 1794 by the Dey Baba Hassan) flanked by two minarets, mosque el Djedid (built in 1660, at the time of Turkish regency) with its large finished ovoid cupola points some and its four coupolettes, mosque El Kébir (oldest of the mosques, it was built by Almoravid Youssef Ibn Tachfin and rebuilt later in 1794), mosque Ali Betchnin (Raïs, 1623), Dar Aziza, palate of Jénina. In the Kasbah, there are also labyrinths of lanes and houses that are very picturesque, and if one gets lost there, it is enough to go down again towards the sea to reposition oneself. Bab El Oued: Literally the River's Gate, the popular district which extends from the Casbah beyond "the gate of the river". It is the capital's darling and best liked borough. Famous for its square with “the three clocks” and for its “market Triplet”, it is also a district of workshops and manufacturing plants. Edge of sea: from 1840, the architects Pierre-August Guiauchain and Charles Frédéric Chassériau designed new buildings apart from the Casbah, town hall, law courts, buildings, theatre, palace of the Governor, and casino, to form an elegant walk bordered by arcades which is today the boulevard Che Guevara (formerly the Boulevard of the Republic). Kouba (will daira of Hussein-dey): Kouba is an old village which was absorbed by the expansion of the town of Algiers. Of village, Kouba quickly developed under the French colonial era then continued growing due to formidable demographic expansion that Algiers saw after the independence of Algeria in 1962. 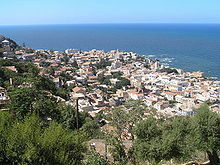 It is today a district of Algiers which is largely made up of houses, villas and buildings not exceeding five stories. El Harrach, a suburb of Algiers, is located about 10 kilometres (6 miles) to the east of the city. The communes of Hydra, Ben Aknoun, El-Biar and Bouzareah form what the inhabitants of Algiers call the heights of Algiers. These communes shelter the majority of the foreign embassies of Algiers, of many ministries and university centers, which makes it one of the administrative and policy centers of the country. The Didouche Mourad street is located in the 3rd district Of Algiers. It extends from the Grande Post office to the Heights of Algiers. It crosses in particular the place Audin, the Faculty of Algiers, The Crowned Heart and the park of Galland. It is bordered by smart stores and restaurants along most of its length. It is regarded as the heart of the capital. Algiers has a Mediterranean climate (Köppen climate classification Csa). Its proximity to the Mediterranean Sea aids in moderating the city's temperatures. As a result, Algiers usually does not see the extreme temperatures that are experienced in the adjacent interior deserts. Algiers on average receives roughly 600 millimetres (24 in) of rain per year, the bulk of which is seen between October and April. The precipitation is very similar to coastal mediterranean Spain as opposed to the interior North African arid climate. Snow is very rare; in 2012, the city received 100 millimetres (4 in), its first snowfall in eight years. There are many public buildings of interest, including the whole Kasbah quarter, Martyrs Square (Sahat ech-Chouhada ساحة الشهداء), the government offices (formerly the British consulate), the "Grand", "New", and Ketchaoua Mosques, the Roman Catholic cathedral of Notre Dame d'Afrique, the Bardo Museum (a former Turkish mansion), the old Bibliothèque Nationale d'Alger—a Turkish palace built in 1799–1800—and the new National Library, built in a style reminiscent of the British Library. The main building in the Kasbah was begun in 1516 on the site of an older building, and served as the palace of the deys until the French conquest. A road has been cut through the centre of the building, the mosque turned into barracks, and the hall of audience allowed to fall into ruin. There still remain a minaret and some marble arches and columns. Traces exist of the vaults in which were stored the treasures of the dey. The Great Mosque (Jamaa-el-Kebir الجامع الكبير) is the oldest mosque in Algiers. It was first built by Yusuf ibn Tashfin, but reconstructed many times. The pulpit (minbar منبر) bears an inscription showing that the building existed in 1097. The minaret was built by the sultan of Tlemcen, in 1324. The interior of the mosque is square and is divided into aisles by columns joined by Moorish arches. The New Mosque (Jamaa-el-Jedid الجامع الجديد), dating from the 17th century, is in the form of a Greek cross, surmounted by a large white cupola, with four small cupolas at the corners. The minaret is 27 metres (89 ft) high. The interior resembles that of the Grand Mosque. The church of the Holy Trinity (built in 1870) stands at the southern end of the rue d'Isly near the site of the demolished Fort Bab Azoun باب عزون. The interior is richly decorated with various coloured marbles. Many of these marbles contain memorial inscriptions relating to the British residents (voluntary and involuntary) of Algiers from the time of John Tipton, the first English consul, in 1580 (NB Some sources give 1585). One tablet records that in 1631 two Algerine pirate crews landed in Ireland, sacked Baltimore, and enslaved its inhabitants. The Ketchaoua mosque (Djamaa Ketchaoua جامع كتشاوة), at the foot of the Casbah, was before independence in 1962 the cathedral of St Philippe, itself made in 1845 from a mosque dating from 1612. The principal entrance, reached by a flight of 23 steps, is ornamented with a portico supported by four black-veined marble columns. The roof of the nave is of Moorish plaster work. It rests on a series of arcades supported by white marble columns. Several of these columns belonged to the original mosque. In one of the chapels was a tomb containing the bones of San Geronimo. The building seems a curious blend of Moorish and Byzantine styles. Algiers possesses a college with schools of law, medicine, science and letters. The college buildings are large and handsome. The Bardo Museum in Tunisia holds some of the ancient sculptures and mosaics discovered in Algeria, together with medals and Algerian money. The port of Algiers is sheltered from all winds. There are two harbours, both artificial—the old or northern harbour and the southern or Agha harbour. The northern harbour covers an area of 95 hectares (235 acres). An opening in the south jetty affords an entrance into Agha harbour, constructed in Agha Bay. Agha harbour has also an independent entrance on its southern side. The inner harbour was begun in 1518 by Khair-ad-Din Barbarossa (see History, below), who, to accommodated his pirate vessels, caused the island on which was Fort Penon to be connected with the mainland by a mole. The lighthouse which occupies the site of Fort Penon was built in 1544. Algiers was a walled city from the time of the deys until the close of the 19th century. The French, after their occupation of the city (1830), built a rampart, parapet and ditch, with two terminal forts, Bab Azoun باب عزون to the south and Bab-el-Oued اد to the north. The forts and part of the ramparts were demolished at the beginning of the 20th century, when a line of forts occupying the heights of Bouzareah بوزريعة (at an elevation of 396 metres (1,299 ft) above the sea) took their place. 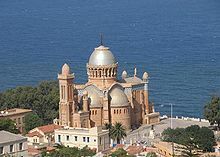 Notre Dame d'Afrique, a church built (1858–1872) in a mixture of the Roman and Byzantine styles, is conspicuously situated overlooking the sea, on the shoulder of the Bouzareah hills, 3 km (2 mi) to the north of the city. Above the altar is a statue of the Virgin depicted as a black woman. The church also contains a solid silver statue of the archangel Michael, belonging to the confraternity of Neapolitan fishermen. Villa Abd-el-Tif, former residence of the dey, was used during the French period, to accommodate French artists, chiefly painters, and winners of the Abd-el-Tif prize, among whom Maurice Boitel, for a while of two years. Nowadays, Algerian artists are back in the villa's studios. Notre Dame d'Afrique, accessible by one cable car, is one of the city's most outstanding monuments: located in the district of Z' will ghara, the basilica was built around 1858. Monument des Martyrs (Marquand E' chahid): an iconic concrete monument commemorating the Algerian war for independence. The monument was opened in 1982 on the 20th anniversary of Algeria's independence. It is fashioned in the shape of three standing palm leaves which shelter the "Eternal Flame" beneath. At the edge of each palm leaf stands a statue of a soldier, each representing a stage of Algeria's struggle. The El Jedid mosque at the Place des Martyrs near the port. Place of the Emir Abdelkader (formerly Bugeaud): in memory of the famous emir Abd El-Kader, resistant during French conquest of Algeria. Grand Post Office (1910, by Voinot and Tondoire): construction of the neo-Moorish type which is in full centre town of Algiers. The Jardin d'essai (Garden of Test; El-Hamma): situated in the east of Algiers, it extends over 80 hectares (198 acres) and contains exotic plants and gardens. It was created in 1832 by A. Hardy. Villa Abd-el-Hair, with the top of the Garden of test, one of the old residences of the dey, where until 1962, were placed the artists prizes winner of Price Abd-el-Hair, and in particular Maurice Boitel and Andre Hamburg. Riadh El-Feth (shopping centre and art gallery). Ketchaoua Mosque (This mosque became the Saint-Philippe cathedral during colonization before becoming again a mosque). National Library, is in the district of El HAMMA and was built in the 1990s. The Great Mosque of Algiers at the Rue de la Marine. It is the oldest mosque of Algiers and was built during the reign of the Almoravid sultan Yusuf ibn Tashfin. Le Bastion 23 - Palais des Rais, built in 1576 by Dey Ramdhan Pacha and located in the lower Casbah in the Bab El Oued neighborhood. Algiers has a population of about 3,335,418(2012 estimate). The ethnic distribution is 53% from an Arabic-speaking background, 44% from a Berber-speaking background and 3% foreign-born. 1940 – 300,000 people lived in Algiers. 1960 – 900,000 people lived in Algiers. 1963 – 600,000 people lived in Algiers. Algiers is an important economic, commercial and financial center, with in particular a stock exchange with a capitalisation of 60 million euros. The city has the highest cost of living of any city in North Africa, as well as the 50th highest worldwide, as of March 2007, having gained one position compared to the previous year. Mohamed Ben Ali El Abbar, president of the Council of Administration of the Emirate Group EMAAR, presented five "megaprojects" to Algerian President Abdelaziz Bouteflika, during a ceremony which took place Saturday, July 15, within the Palace of the People of Algiers. These projects will transform the city of Algiers and its surroundings by equipping them with a retail area and restoration and leisure facilities. The first project will concentrate on the reorganization and the development of the infrastructures of the railway station "Aga" located in the downtown area. The ultramodern station intended to accommodate more than 80.000 passengers per day, will become a center of circulation in the heart of the grid system, surrounded by commercial offices and buildings and hotels intended for travelers in transit. A shopping centre and three high-rise office buildings rising with the top of the commercial zone will accompany the project. The second project will not relate to the bay of Algiers and aims to revitalize the sea front. The development of the 44 km (27 mi) sea front will include marinas, channels, luxury hotels, offices, apartments of great standing, luxury stores and leisure amenities. A crescent-shaped peninsula will be set up on the open sea. The project of the bay of Algiers will also comprise six small islands, of which four of round form, connected to each other by bridges and marinas and will include tourist and residential complexes. The third project will relate to restructuring an area of Algiers, qualified by the originators of the project of "city of wellness". El Abbar indicated to the journalists that the complex would be "agreeable for all those which will want to combine tourism and well-being or tourism and relaxation". The complex will include a university, a research center and a medical centre. It should also include a hospital complex, a care centre, a hotel zone, an urban centre and a thermal spa with villas and apartments. The university will include a medical school and a school for care male nurses which will be able to accommodate 500 students. The university campus will have the possibility of seeing setting up broad ranges of buildings of research laboratories and residences. Another project relates to technological implantation of a campus in Sidi Abdellah, 25 km (16 mi) south-east from Algiers. This 90 hectares (222 acres) site will include shopping centres, residential zones with high standard apartments and a golf course surrounded by villas and hotels. Two other residential zones, including 1.800 apartments and 40 high standard villas, will be built on the surrounding hills. The fifth project is that of the tourist complex Colonel Abbès, which will be located 25 km (16 mi) west from Algiers. This complex will include several retail zones, meeting places, and residential zones composed of apartments and villas with views of the sea. Currently there is another project under construction, by the name of Algiers Medina. The first step of the project is nearly complete. A Hewlett Packard office for French-speaking countries in Africa is in Algiers. There was formerly the École japonaise d'Alger (アルジェ日本人学校 Aruje Nihonjin Gakkō), a school for Japanese children. ETUSA (urban and suburban bus transportation for Algiers) operates bus service in Algiers and the surrounding suburbs. 54 lines are currently operating, with service from 5:30 a.m. to 12:45 a.m.
SNTF (national railroad company) operates commuter-rail lines connecting the capital to the surrounding suburbs. Algiers Metro, opened November 1, 2011. Algiers tramway, opened on May 8, 2011. Houari Boumediene Airport is located 20 km (12 mi) from the city. The airport serves domestics, many European cities, West Africa, the Middle East, Asia and North America. On July 5, 2006, a new international air terminal was opened for service. The terminal is managed by Aéroports de Paris. Several ongoing projects aim to solve Algiers deficit and transportation problems. A tram connecting the downtown area to Dergana is expected to open by the end of 2010. Subway lines connecting Tafourah-Large Harrach Post office-El were expected in 2008, in addition to three Regional Express Network (RER) lines: Algiers-Aga-Thenia, Algiers-Aga-Elafroun, Algiers-Aga-Zeralda. Three new cable cars, reconstruction of roads and restoration of the city station—which will accommodate the High-speed rail line connecting Annaba, Algiers and Oran—are also ongoing. Congestion control measures including new roundabouts and motorways are also being added to the city. New residential developments aim to solve Algiers current housing shortage. Algiers is the sporting centre of Algeria. The city has a number of professional clubs in the variety of sports, which have won national and international titles. Among the sports facilities within the city, there is an enormous sporting complex – Complex of OCO – Mohamed Boudiaf. This includes the Stade 5 Juillet 1962 (capacity 80,000), a venue for athletics, an Olympic swimming pool, a multisports room (the Cupola), an 18-hole golf course, and several tennis courts. African Cup of Nations 1990. African Handball Nations Championship 1989, 2001. Men's U19 World Championship 2005. Delice Paloma, 2007, directed by Nadir Moknèche, with Biyouna and Nadia Kaci. This article was originally based on a translation of the French Wikipedia's article "Alger". ^ "Population of the city proper according to the 2008 census". Citypopulation.de. Archived from the original on 15 June 2010. Retrieved 2010-06-27. ^ a b "UN World Urbanization Prospects". Esa.un.org. Archived from the original on 2009-12-23. Retrieved 2010-06-27. ^ Origins of Algiers by Louis Leschi, speech delivered June 16, 1941 published in El Djezair Sheets, July 1941 History of Algeria (in French). ^ a b Lipiński (2004), p. 403. ^ Ghaki (2015), p. 66. ^ a b c d e f Chisholm 1911, p. 655. ^ Celik, Zeynep, Urban Forms and Colonial Confrontations: Algiers Under French Rule, University of California Press, 1997, p. 13. ^ "Tyrkjaránið – Heimaslóð" (in Icelandic). Heimaslod.is. Retrieved 2010-06-27. ^ Daniel Eisenberg, Cervantes, autor de la Topografía e historia general de Argel publicada por Diego de Haedo, Cervantes: Bulletin of the Cervantes Society of America 16.1 (1996): 32–53, http://www.h-net.org/~cervantes/csa/artics96/topograf.htm, retrieved 11/22/2014. Others have disputed Eisenberg's attribution of the work to Cervantes. ^ Daniel Eisenberg, "“¿Por qué volvió Cervantes de Argel?" ("Why Did Cervantes return from Algiers? ", in Ingeniosa invención: Essays on Golden Age Spanish Literature for Geoffrey L. Stagg in Honor of his Eighty-Fifth Birthday, Newark, Delaware: Juan de la Cuesta, 1999, ISBN 0936388838, http://users.ipfw.edu/jehle/deisenbe/cervantes/argel.pdfpp[permanent dead link]. 241–253, http://users.ipfw.edu/jehle/deisenbe/cervantes/argel.pdf, retrieved 11/21/2014. ^ "The First Muslims in England - BBC News". BBC News. Retrieved 2016-03-21. ^ Celik, Zeynep, Urban Forms and Colonial Confrontations: Algiers Under French Rule, University of California Press, 1997, pp. 13–14. ^ Godfrey., Mugoti, (2009). 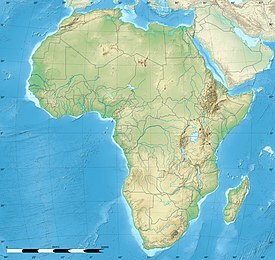 Africa (a-z). [Place of publication not identified]: Lulu Com. ISBN 1435728904. OCLC 946180025. ^ Celik, Zeynep, Urban Forms and Colonial Confrontations: Algiers Under French Rule, University of California Press, 1997, p. 5. ^ "Les autorités accusent al-Qaïda". RFI. Archived from the original on 13 December 2007. Retrieved 2007-12-11. ^ "Toll in Algiers bombings rises to 31". Associated Press. Archived from the original on 2007-12-14. Retrieved 2007-12-12. ^ "Al Qaeda blamed for Algeria bombs". CNN. 2007-12-12. Archived from the original on 12 December 2007. Retrieved 2007-12-11. ^ "Notre Dame d'Afrique and Carmelite Convent, Algiers, Algeria". World Digital Library. 1899. Retrieved 2013-09-25. ^ Balmforth, Richard (4 February 2012). "European Chill Moves West, 122 Die in Ukraine". Reuters. ^ "World Weather Information Service–Algiers". World Meteorological Organization. Retrieved 16 October 2016. ^ "Appendix I: Meteorological Data" (PDF). Springer. Retrieved 16 October 2016. ^ "Station Alger" (in French). Meteo Climat. Retrieved 16 October 2016. ^ a b c d e f g h i Chisholm 1911, p. 654. ^ "Algiers in the World Gazetteer". World-gazetteer.com. Retrieved 2010-06-27. ^ "MERCER Human Resources Consulting – Moscow tops Mercer's cost of living list; London is close behind". Mercerhr.com. Archived from the original on 1 July 2010. Retrieved 2010-06-27. ^ "HP Office locations". Welcome.hp.com. Retrieved 2010-06-27. ^ Kobori, Iwao (Conseiller aupres del'Universite des Nations Unies). "L'Algerie et moi" ( Archived 2015-01-16 at WebCite). Japan-Algeria Center. Retrieved on 16 January 2015. ^ "過去に指定・認定していた在外教育施設" ( Archived 2015-01-14 at WebCite). Ministry of Education, Culture, Sports, Science and Technology. Retrieved on January 15, 2015. ^ "Tram testing starts in Alger". Railway Gazette. 2010. Retrieved 2010-05-18. ^ "Anniversary of sister-city relations". KCNA. 6 January 2000. Archived from the original on 2001-09-19. Retrieved 2017-12-03. ^ "Sherlock, banque d'information de la Ville de Montréal". 1.ville.montreal.qc.ca. Archived from the original on 2009-02-23. Retrieved 2010-06-27. ^ "Friendship and cooperation agreements". Paris: Marie de Paris. Archived from the original on 2016-07-01. Retrieved 2016-09-10. This article incorporates text from a publication now in the public domain: Chisholm, Hugh, ed. (1911). "Algiers" . Encyclopædia Britannica. 1 (11th ed.). Cambridge University Press. pp. 653–655. Lipiński, Edward (2004), Itineraria Phoenicia, Orientalia Lovaniensia Analecta, No. 127, Studia Phoenicia, Vol. XVIII, Leuven: Uitgeverij Peeters . Wikivoyage has a travel guide for Algiers.